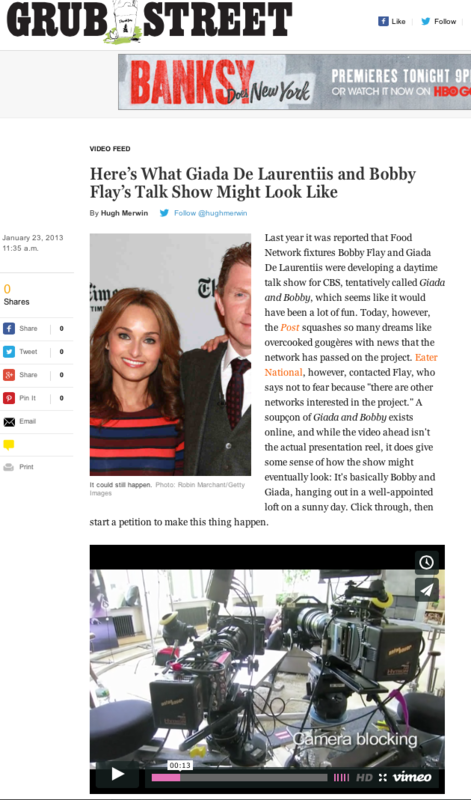 Bobby Flay and Giada De Laurentiis at Bennett Media Studio for their new show! On the last day of April, 2012, Bennett Media Studio again welcomed our good friends - celebrity chefs Bobby Flay and Giada De Laurentiis for their shoot with CBS. 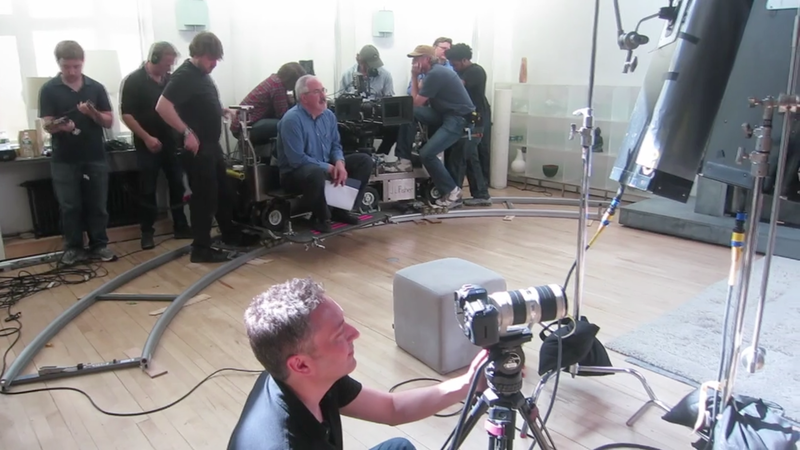 The shoot was for the TV promos of their upcoming syndicated day time talk/food show, produced by CBS TV Distribution. The slideshow video of Bobby & Giada April shoot was featured in Grubstreet.com and inquisitr.com.